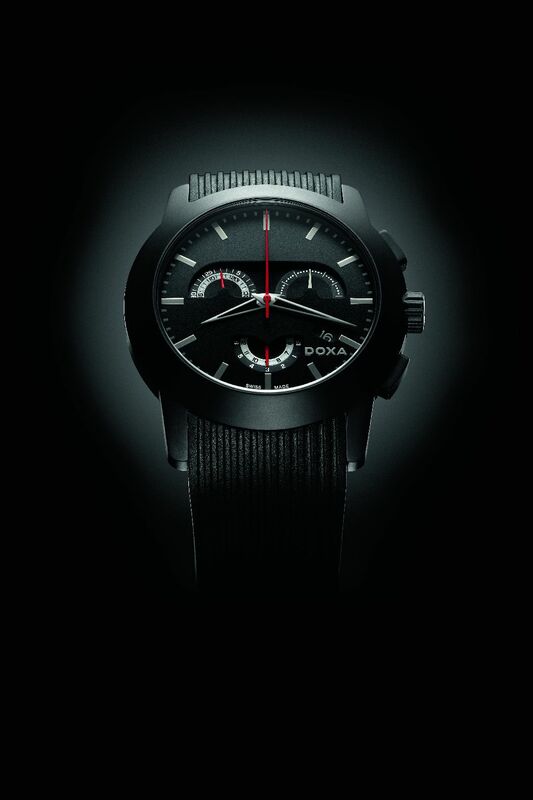 DOXA Grafic Mistero is a dual dial watch that is inspired from the Bauhaus movement and follows the same path of its ancestor, the world famous DOXA Grafic. One dial is superimposed over the other; the top layer is the traditional watch dial, the second layer, partially hidden, reveals the 3 counters for the chronograph functions. The little seconds hands revolve around their respective centers in the space between the two dials. 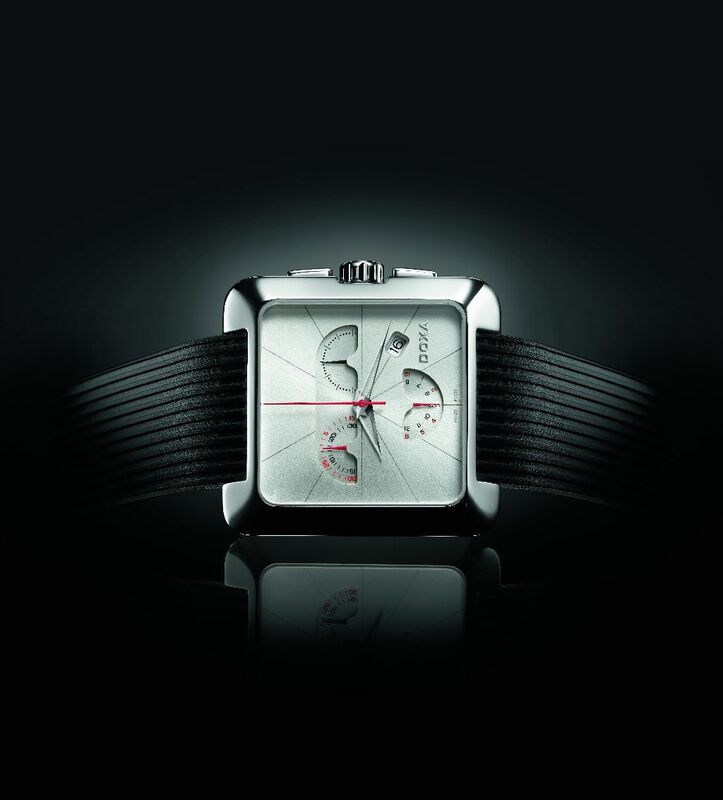 As a special touch, the little red seconds hands turn silver toned when they continue on the second half of their round. With silver or black dials in a round or square steel case and a finely lined black rubber strap, the Grafic Mistero is a perfect match for the accomplished man of the world. Grafic Mistero is also available with an exquisite black matt finished round or square case. With this model, the vivid design created by the red seconds hands is intensified by the strong but harmonious color contrast.